NY Times reporter clueless about EV's or intentionally slamming them? Last week a NY Times writer, John Broder, wrote a piece about the Tesla Model S that made it look really bad. He took it on a long trip, from Washington D.C. to up-state Connecticut, intending to use the Supercharger network along the way to keep the car rolling. The two east-coast Supercharger locations were built in December, and more are on the way. However, if you read his article you know that his trip ended with the Model S on a flat bed tow truck because he ran out of electricity. The article reads like the Model S isn't ready for prime time, and will leave you stranded on the side of the road. However, from the perspective of an experienced EV driver there's a long list of mistakes he made. The question in the context of EV Advocacy is how do we best get across to people that the NY Times article is highly flawed? I hope that this is not your first experience with mainstream media bias. The customers and source of revenue of the US commercial news media, including the major broadsheet papers like the NYT, are the advertisers. The news and opinion content of commercial media is more often than not written to the advertiser's desires, not the information needs of the public - who usually don't give them a penny of income. i recommend reading the now-classic "Manufacturing Consent - the Political Economy of the Mass Media" by Edward Herman and Noam Chomsky for more informaiton. Yes, I'm familiar with that process. I've seen the movie, Manufactured Consent, not read the book. I'm working as a writer attempting to use journalism to bring a different type of electric vehicle story into the news system. Those articles I wrote are my attempt to put a more EV-realistic point of view into the news system. You should have read the fierce debate about this article on Autoblog green. You, like most people, seem to have misunderstood the NYT reporter. The article was not a report or review about the Tesla Model S. NYT, and reporter John Broder had already filed a highly complementary article based on their experience with the supercharger network, and Tesla model in California. The article was in response to request by Tesla to write about a similar test in New England. So what went wrong ? Well, southern California, ain't New England in a severe winter ! Tesla's New England challenge was also a little different. 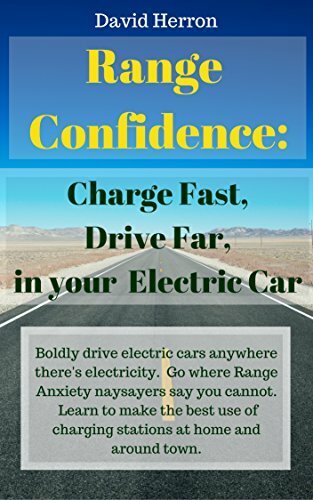 The emphasis was to see whether an ordinary person, (even driving the Tesla for the first time), could complete the sort of journey an ordinary person would undertake, with minor details, like small detours, overtaking, a bit of speeding, etc included. The idea was the car could only be refilled at superchargers, and the driver was to rely on the information supplied by the model S instrumentation. This evaluation was intended to demonstrate that by using only the supercharger network system, the model S became as practical and simple to use as a “normal use,” no-compromise car, as Tesla marketing material promotes. But as Elon Musk now admits, in the extreme weather conditions of New England, the superchargers were placed too far apart, and the model S developed greater charging losses and a more difficult battery regime. It's also true that not all the advice received from Tesla was helpful. There were lots of things that John Broder could have done that would have made the trip easier. But that would have negated the whole point of the test. It wasn't a test to prove that a knowledgeable EV enthusiast could go from point A to B, in a model S. The point of the test was to show that the model S, using only the supercharger network, and driven by an ordinary driver, could preform as well and as simply as an ICE, or EREV. As Tesla marketing suggested. Within this context the Model S, had problems. Model S fans have come out in force and formed a hate club against the unfortunate John Broder and NYT. This is very unfair, as over the years John Broder has been very supportive of EV's. Marcopolo, where did you get that from? Broder said no such thing in either his article last week, nor in the followup he posted a couple days ago. In that followup he did say his goal was to test the Supercharger network but didn't go into as much detail as you did. I'm curious where you got all those details because I haven't seem them come from Broder's writings. Further what you describe is an artificial test case that is unlikely to be the case for real world road trips with a Model S, especially today when the Supercharger network is so incomplete. The real world EV driver has several charging station network map applications in their smart phone, and is adept at switching between them to find charging stations. The best of those apps is PlugShare. FWIW Broder drove right by two charging stations on his way back to Milford, and he could have stopped at one of them to recharge without getting stuck on the road. He also set out from Norwich with insufficient range showing on the dashboard estimate. In any case Elon Musk claims that testing the supercharger network was not the intention, and that they'd already had other journalists test out the Supercharger network. If his goal was to drive from Washington DC to Boston on the Supercharger network -- he absolutely should have a) taken a full charge at the Milford station, as well as the Delaware station b) waited until one or two more charging stations had been built, preferably one closer to Boston. According to Google Maps the route he took from Milford, if his destination was truly Boston, would have taken 163 miles. He left Milford without enough range to be comfortably certain of arrival, and if he'd simply stayed a few more minutes he'd have had enough range. In Milford he only charged to 73%. So it seems plausible he could have made it to Boston - but failed to grab a full recharge and therefore failed. If we are to trust what Musk says in his blog post - Broder seems to have purposely set up a no-win situation in which the test drive would fail. As I point out in my latest writeup the real question is who has more credibility. It seems like a he-said-she-said situation. I quote from the very same article you read.In John Broder's own words. "Tesla made the offer to The Times to test the new East Coast Superchargers. The idea and the timing were theirs. (The Tesla public relations person who arranged the trip left Tesla last week and now works for Mr. Musk’s space-launching venture, SpaceX. )We tested the six-station Supercharger network on the West Coast in September; it worked super, and we said so." "Virtually everyone says that I should have plugged in the car overnight in Connecticut, particularly given the cold temperature. But the test that Tesla offered was of the Supercharger, not of the Model S, which we already know is a much-praised car. This evaluation was intended to demonstrate its practicality as a “normal use,” no-compromise car, as Tesla markets it. Now that Tesla is striving to be a mass-market automaker, it cannot realistically expect all 20,000 buyers a year (the Model S sales goal) to be electric-car acolytes who will plug in at every Walmart stop. One final note. Mr. Musk called me on Friday, before the article went up on the Web, to offer sympathy and regrets about the outcome of my test drive. He said that the East Coast charging stations should be 140 miles apart, not 200 miles, to take into account the traffic and temperature extremes in this part of the country." In the latest round of accusation and counter-accusation, it appears Tesla may have made a serious omission, when it accused John Broder of lying about his speed. It maybe that the model S supplied for the test didn't recalibrate the speedo after changing the 21" summer tires for 19" all seasons.This revelation caused Elon Musk to refuse to release any further data, declaring his case was proved ! While I am typing this reply, I have just been notified of John Broder's article rebutting Musk's accusations. After careful perusal, I believe that once again Elon Musk has unnecessarily picked a fight he can't win (except on EV blog sites). His over the top, accusations can't be proved, and some of them can be easily disproved. Tesla's 'take no prisoners' 'no compromise', attitude creates necessary polarisation. John Broder, comes across as pretty straightforward , (for a journalist). The people who don't come out of this all that well, are the Tesla technical support staff. It looks to me like both sides are right - and wrong - on this. The US doesn't have a charging network adequate for worry-free driving for any distance outside the minimum range of any EV, especially by a neophyte, and the review made that clear. It is also clear that the author made numerous mistakes that would have been avoided by an experienced EV owner, and it seems likely that the support people gave instructions that were at best ambiguous. Even now, when you buy an EV with lead-acid batteries, you are likely to find in the manual instructions to "condition" it, by fully discharging it and recharging it three times. This of course will cripple if not kill the battery pack if actually done, and appears to be a copy and paste from NiCad power tool owners manuals. Most journalists prefer publicity over less-interesting validation of the claims they are investigating, so it seems likely that the writer was doing his level best to make the car run out of juice, without actually contradicting the advice he was given by Tesla techs. Musk then (over)reacted pretty much as you'd expect the owner of any private manufacturing company to react. What he should be doing is making a short but extremely informative DVD to be viewed by every Tesla owner, so this sort of "Gotcha" piece won't be repeatable. I don't disagree. I think the premise of the whole challenge was pretty absurd. Tesla challenged a NYT journalist to disprove it's marketing claims, in relation to it's newly installed, untested, East Coast supercharging network. Naturally, the reporter did just that ! To make matters worse, The majority of the Tesla support staff are either new or from Southern California! Now what could possibly go wrong ? The NYT story, wasn't all that negative. It spoke highly of the model S, and said the network wasn't bad, but failed the terms of the test. Elon Musk then over-reacted, spat the dummy and accused the reporter of Faking his results ! Naturally a public relations nightmare ensued, with almost the entire media, even the green media siding with the NYT (along with some actual Tesla owners). Musk and Tesla, upped the ante by claiming to possess a 'smoking gun' the vehicles electronic recorder. When this turned out to be more harmful than useful Musk stirred up his army of supporters, (not actual Tesla owners)to abuse the journalist. Elon Musk is undoubtedly brilliant in many ways, but he's obsessively vindictive to those who disagree with him. But for many publication, especially on line, it's provided a real shot in the arm ! Oh, incidentally, I'm not sure that " owner of any private manufacturing company ", is an accurate description of the CEO, and 36% owner of a $3.1 billion, public corporation ! . Marco, there's a point you haven't addressed and it makes the story not as simple as you suggest. Why the bleep did Broder leave the Milford charging station without fully charging the car? He left with a 73% charge and just a few minutes more he would have had either a 90% or 100% charge and at least 240 miles driving range. Instead he left with 175ish miles driving range. That extra 70 miles or so of range would have made a huge difference. It would have made the trip a success. He failed to do so. Why? That was the critical failure which made the trip a failure, his failure to fully charge the car. Getting a full recharge is an obvious thing to do - doesn't even require any EV experience to know to do that. It's the same thing you'd do in a gasoline powered car. Another curious point is if his goal were to drive to Boston, why choose the route he chose? According to Google Maps there are three freeway routes from NYC to Boston, the shortest is 140ish miles the other two are 160ish miles. He not only chose the longest route, but the one with the fewest public charging stations (that could be used as a backup in emergency). A CNN Money reporter just replicated Broder's trip, and successfully made it from Washington DC to Boston stopping only at Supercharger stations. There are a couple differences that may be secondary. I suspect however the CNN guy was better briefed instructed on what to do than Broder was. In particular he must have been extra careful to get a full recharge in Milford, and maybe chose the shorter route to Boston than the longer one. 2) John Broder says, quite reasonably, that he didn't wait in the intense cold for a full charge as, after consultation with the Tesla technician, he had enough to (with plenty to spare) to reach his destination, stop overnight and continue on the next day to the designated supercharger. The analagy with a gasoline fill up, doesn't take into account that to half fill, or fully fill, a gasoline tank is a matter of minutes, not an extra 20 minutes or so in freezing conditions. Remember, the journalist was try to simulate the actions of an ordinary person, not prove something is possible. What John Broder didn't anticipate was the dramatic loss of battery energy,incurred by leaving the model S parked outside his motel overnight in very cold conditions. 3) The CNN test was equally pointless. Armed with hindsight, better advice, a different route, complete knowledge of all the facilities on the route, better weather, no overnight stop, and a totally different objective, what did it prove ? ( Except to provide further disinformation for Tesla's cheer squad). In my opinion, Elon Musk and Tesla were foolish to react in the way they did. They could have employed the NYT article in a positive way. Had Elon Musk congratulated the NYT, and pointed out that even for motorists who lack any knowledge of EV's, and despite the mistakes, and appalling weather conditions, the test was 90% successful. Tesla could quite rightly say that the test had helped Tesla make improvement to the vehicles instrumentation, technical advice, and supercharger network, so that the system would be as fool proof (and idiot proof) as it can be, he would have scored a major victory for EV, transport. Instead, he leaves behind bitterly polarised opinions, and a resentful media. This Broder vs. Tesla thing has now made it into German "green" blogs. And the way they quoted things are more in favour of Tesla / Musk than what was reported in some parts of this thread (not necessarily surprising given they call themsleves greenmotorsblog :-). - Then they quote the speed discrepancies between Broder's report and the vehicle log which mostly showed faster actual driving than reported. - Another thing was that Broder acutally turned up the heating instead of slightly down as had said he did. Yes, the pro-tesla fan club emerged in force with amazing fanaticism. As to the truth, it becomes more distorted with each retelling. Each of these accusations is answered by John Broder. Being only a few miles from his destination, and in freezing weather, he thought he was safe to only charge enough to take him to his motel, and charge fully the next day. He didn't anticipate that the very cold overnight temperatures, would so dramatically affect the battery range. Then they quote the speed discrepancies between Broder's report and the vehicle log which mostly showed faster actual driving than reported. The logs prove no 'smoking gun'! The logs also don't allow for speedo error etc, but these discrepancies are not damning, nor terribly important. Another thing was that Broder actually turned up the heating instead of slightly down as had said he did. John Broder reported continually turning up the heating and turning it down, in an effort to conserve power, but keep the cabin reasonably warm in freezing conditions. The logs confirm this. IMO this is unfair. Dis John Broder set out to fail ? No ! Did he set out to eagerly prove Tesla's claims correct ? No ! When you cut through all the exaggerations, opinion, and accusations, two issues stand out. 1) Is Elon Musk correct in saying that John Broder faked the result? 2) John Broder's experience is so improbable as to be deliberately contrived. This can proposition can be tested in two ways. 1) Have any other Tesla owners had similar experiences ? If so, Elon Musks claim is unfounded. In fact several owners have posted similar experiences, prior, and after, the report. 2) Among all the accusations, and counter accusations, a number of Elon Musk's accusations are obviously false. But, once you discount all human error and 'interpretation' 'opinion' exaggerations etc., one exchange stands out as a test of truth ! "The Tesla personnel whom I consulted over the phone – Ms. Ra and Mr. Merendino – told me to leave it connected for an hour, and after that the lost range would be restored. I did not ignore their advice." Now this is something that can't be explained by either 'exaggeration', or the authors "impressions" ! If Elon Musk's account is true, John Broder stands condemned as a liar ! If not, then Elon Musk has deliberated persisted in defaming the journalist with a falsehood. One, or the other, is lying ! This is not a 'he said" "she said", senario, the truth can be confirmed by independent witnesses. All it needs is for Ms. Ra and Mr. Merendino, to step forward and deny that they ever gave such advice. Since that has not happened, the obvious conclusion must be drawn. This is a selected a black and white contrast. ( I even weighted it in favour of Elon Musk, as the testimony of his employees would be the deciding factor). There are many other examples, but I selected an example, in which neither protagonist had 'wriggle' room ! John Broder and the NYT stands by his statement, supported by his contemporaneous notes. Elon Musk, refuses to retract his statement, claiming that this is proof of John Broder's untruthful attempt to destroy Tesla's creditability. The weakness of Elon Musk's position, is his inability to explain why if John Broder was lying, would he name two Tesla employees who could refute his claim? More damning is the absence of any rebuttal by the employees ! It's very unfortunate that the situation has deteriorated to so much antagonism. More damning is the absence of any rebuttal by the employees ! They all made it fine, no problem, with all of them driving the route twice over the weekend. BTW a couple days ago I read a report from a Model S owner in Minnesota whose road trip ended up taking much longer than it should have. I've lost track of the link to the blog post so I'll do my best to summarize it. First, no Supercharger's available because the network hasn't reached there yet. Second, the cold weather didn't seem to be a factor, instead what was a big factor was the lack of public charging stations. The area driven through seemed to have few charging stations, most of which were at car dealerships. In at least two cases they couldn't get the J1772 plug to connect with the J1772 adapter in order to plug in - and it sounded like they resorted to vandalism once or twice to break the plug enough to get it to connect to the adapter. Plugging in to a 120 volt outlet didn't give enough range to offset range loss from keeping the battery pack warm due to the cold weather. The Model S owner in question was a bit of a newbie, and admitted to not completely understanding the best things to do. Marcopolo - I have little understanding why you're continuing to defend Broder so strongly. It's utterly clear that he made mistakes. An editor at the NY Times even said so. He clearly could have succeeded at the trip. That fact has been demonstrated several times over now. It's very simple - he should have fully charged at the Milford station and he would have had enough range. Any EV driver knows to do that - his failure to do so was either purposeful or just a newbie mistake depending on how you want to look at it. Where we can differ is on the opinion whether Broder purposely failed at the trip, or whether it was simply a newbie-accident. There is no question that John Broder didn't set out to prove that the trip could be successfully completed by an experienced driver. Quite the opposite, he set out to put the marketing claims made by Tesla, (that it was as easy for anyone to travel using the supercharger network and model S, as an ICE) to the test. As he related it wasn't so easy. What we can agree on is that James Broder deliberately reported the the shortcomings in the technology, and the technical support of the East Coast supercharger system and the Model S.
But, isn't that his job? The fury of Tesla (EV) supporters has been misdirected. It's of little value to call a journalist a liar, heretic , etc, simply because they illustrate the weaknesses in EV transport. But Elon Musk's behaviour, accusations were unfounded. Elon Musk called the NYT reporter a liar and a faker. When the reporter offered proof that Elon Musk was wrong, Musk refused to apologise. Elon Musk may be brilliant, and even if you don't like John Broder,...well, even your enemies,...in fact, especially your enemies, deserve a fair trial ! John Broder has come in for a great deal of abuse, not because he lied (because he didn't) but because he related unpleasant truths. The fact that someone else, armed with hindsight, different weather, and better advice, can succeed, doesn't prove John Broder was dishonest. I have had the privilege of discussing this incident with the chairman of another, much larger Auto-maker,who observed that instead of Tweeting outrage, would have thanked John Broder for his experience, then invited John Broder on a second trip, accompanied by himself. The same effect would have been achieved, but with a great deal more goodwill and much better public relation. FWIW - Elon Musk followed up describing the post by the NY Times editor (see link above) as a retraction of Broder's claims. That's not quite how I see her blog post however she did somewhat back away from full support of Broder's claims. Margaret Sullivan is not the Editor of the New York Times ! She is a "Public Editor" . In the description from the NYT. "The public editor works outside of the reporting and editing structure of the newspaper and receives and answers questions or comments from readers and the public, principally about news and other coverage in The Times. Her opinions and conclusions are her own." Her piece was conciliatory, and conceded that John Broder's actions contributed to the failure of the test drive, and a driver more experienced in EV operation may have fared better. Elon Musk continues to dissemble. This shows an alarming tendency for a CEO to get his own way even if the truth is a casualty. Henry Ford displayed the same characteristics. "In the matter of the Tesla Model S and its now infamous test drive, there is still plenty to argue about and few conclusions that are unassailable." The fanaticism of those who want the Tesla to succeed is unnecessary and unhelpful. Treating any kind of criticism with a barrage of hysterical abuse, may prove popular with the faithful in the short term, but inevitably leads to long term scrutiny by those whose complaints were shouted down or ignored. I doubt whether many of the ardent and passionate followers of Tesla, have even driven a Model S, let alone own a Tesla. It's true that John Broder's test had many mishaps, and his reporting style may have sensationalised the issues. But the events happened, and can't be ignored. The truth is that long distance travel by EV does require a good knowledge of the quirks of EV operation. It also revealed that Elon Musk's Tesla staff did misled and provide dubious information to the NYT reporter. None of this would be important, if Elon Musk had simply responded in a reasonable fashion. It was his extreme reaction which exacerbated the controversy. A typical reaction my ardent Tesla fans, in reply to John Broder's claim that he received bad advice is "He deliberately choose to follow the advice, when he should have known it was wrong ! ".